90% Organic Daily Conditioner and Detangler that leaves hair soft and manageable with fullness and bounce. Leaves hair free of tangles while providing proper moisture and conditioning balance. Will not weigh hair down, gives volume and a denser look to fine hair. Made with Organic Pea Sprout Extract and Organic Aloe Vera. Helps to repair damaged and dry hair while promoting new hair growth from the root. Apply to hair and massage through then rinse clean. Apply to clean wet hair and massage down and through to the ends then rinse clean. RevuCell Intstant Volume Daily Conditioner gives you natural volume while helping to diminish hair loss and promote healthy hair growth. Daily Conditioner and Detangler for thin and fine hair. Helps to seperate and free the hair for a fuller and more dense look right out of the shower. Just blow dry and style after use. Rich in phyto-nutrient Pea Sprout Extract and Antioxidant Polyphenol rich Aloe Vera, RevuCell promotes a healthy scalp environment while inducing the dermal papilla to reactivate hair growth. Our unique blend of ingredients helps to rebalance the hair growth life cycle while conditioning existing hair and protecting it from breakage and loss. Use in combination with RevuCell Hair Loss Therapy Shampoo and RevuCell Hair Loss Therapy Serum. Apply RevuCell Hair Loss Therapy Daily Conditioner to just washed clean wet hair. For longer hair, apply to hair near scalp first, then pull it through to the ends of the hair. Allow Revucell Hair Loss Therapy Daily Conditioner to sit in the hair for 1 minute. Make sure to rinse till water runs clean. Follow with RevuCell Hair Loss Therapy Serum. Fatty Alcohol that gives skin and hair a smooth and silky appearance. 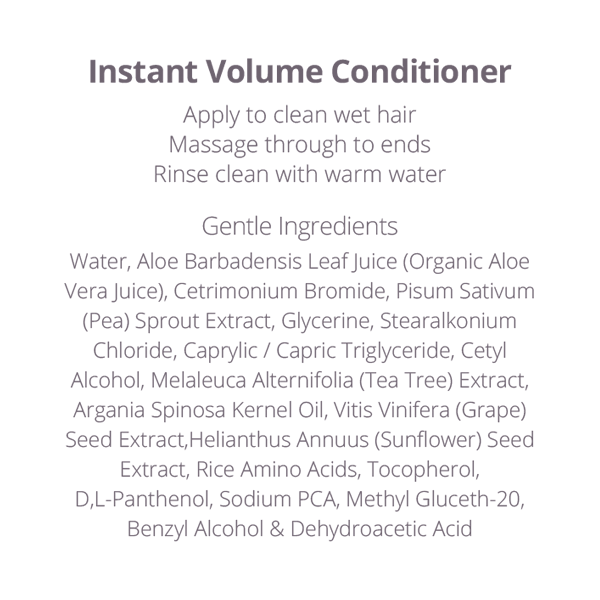 Conditioning agent that helps to repair damaged and broken hair. Offers moisture and ample nourishment to dry damaged hair. Optimises hair growth and lengthens growth of hair. Light weight non greasy skin and hair conditioner derived from coconut oil and glycerine. Globally approved, broad spectrum liquid preservative system free of parabens, free of formaldehyde, free of isothiazolinones.